As we are fast approaching the end of another Solar cycle (the turning point of the year called Sandhia in Sanskrit, means joint/ juncture) i feel naturally drawn to Akasha, the Element Space and to Meditate on large scale events , like the revolution of the planets around the Sun and the movement of the Sun around the Centre of our Galaxy ( the Milky Way ) . Wherever there is a turning point ( end of a cycle) there is a natural deceleration of our brainwaves, then a bend ( Sandhia – transition) and then acceleration resumes ( our normal rhythm of day to day life) . Here the transition and change in direction is clearly marked by the Sun : peak of darkness at Winter Solstice /transition/ Sandhia and return of the Light /change in direction / increase in energy in the form of Charged Prana radiated from the Sun. Therefore this is a perfect time to practice Akasha Dharana and Darshan, Concentration on the Space Element and Visualisation of the Cosmos. Akasha is the infinite Space before creation as well as the container of everything that is manifested and can be perceived as the invisible Space between things that interconnects them as well as the infinite Space surrounding things. Anima siddhi – Atomicity , the infinitesimal, the ability to go with an invisible microscope at the level of the atom and sub-atomic particles. Mahima siddhi – the infinite , the capability to expand our consciousness, grasp and visualise events at the enormous proportions of the Cosmos. Nowaday we are hugely helped in developing those faculties of anima and mahima by scientific research and technology. Science and technology too though can be limiting when the theories that they are based upon are outdated and not in line with our current state of conscious evolution. What we know to be true has to be correctly reflected in what is accepted as reality by scientific theories. 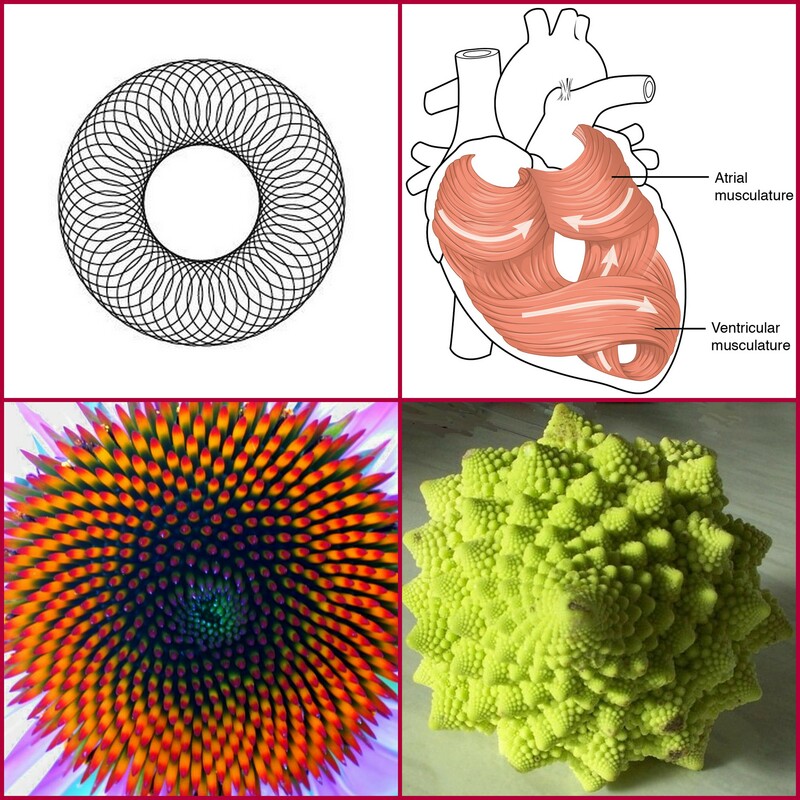 The Spiral: recurring pattern in Evolution. Shifting Perception. One of the outdated theories that no longer serves us is the heliocentric theory: in fact the Earth is not flat and bi-dimensional and therefore not rotating in an elliptical fashion around the Sun ! That theory is not completely wrong but limited; as we expand our capability to take in more information we can add a layer of complexity to that theory, moving from 2D to 3 D.
Let’s look a t things a bit more in depth. Nothing in the Cosmos is steady: everything is moving, evolving, contracting or expanding and certainly not fixed. And the Sun is no exception! Our beautiful Sun is fast travelling in a spiralling fashion around the Centre of The Milky Way at the formidable speed of 450.000 miles an hr, covering a distance of 4.7 billions miles across space in one year. It takes 226 Million years to the Sun to complete a revolution around the centre of the Milky Way, just to give you an idea of the expanse of our Galaxy and of the tiny portion that we occupy as Solar System. Helicoidal ( Spiral) orbits of the Planets around the Sun as the Sun travels around the centre of the Milky Way! Visualising this helps us realise that we are constantly moving across the Galaxy at tremendous speed and therefore the beginning of a new year marks our journey in some part of the Galaxy that we had never visited before! A new Year is truly new! That’s a pretty exciting news compared to the boring assumption that as a year ends we would come back where we started to begin the following one! The Heliocentric theory is replaced by the Helicoidal ( Spiral) rotation of the planets around the Sun. The Spiral is a well known pattern of growth and evolution in Nature: Energy takes the path of least resistance. It is a pattern that is associated with magnetism, the magnetic field generated by a current of electricity is a spiral wrapped around itself in a geometrical structure called a Taurus ( looks like a doughnut). 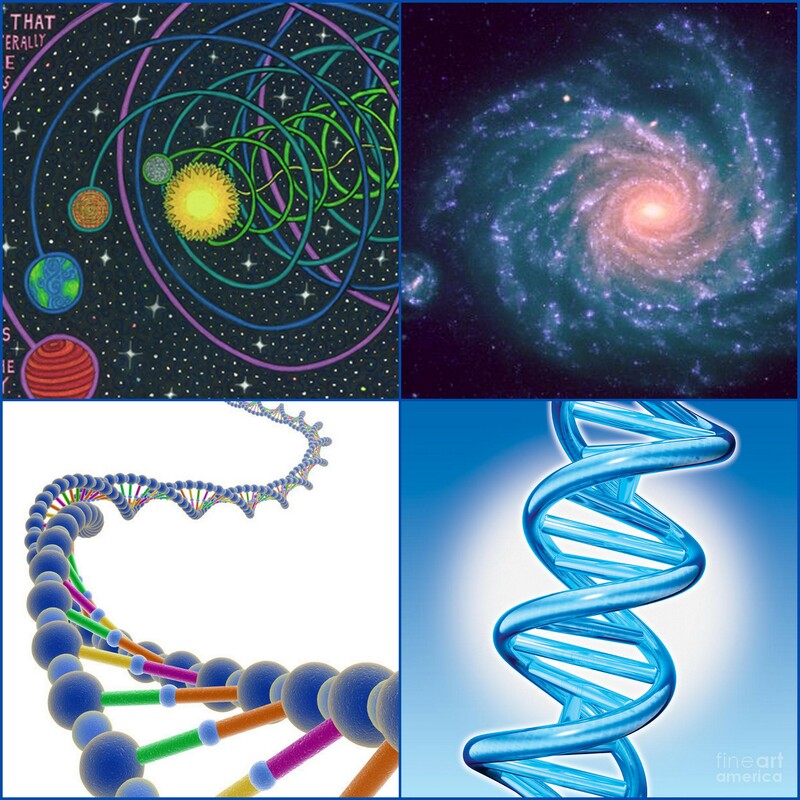 This pattern is recurring on many different levels and scales in Nature, from the atomic (electrons sprialling inside the nucleus), to the pattern plants follow in their growth, to the spiral of the Dna and the Spiral orbit of the Moon around the Sun. Even Heart wall myofibers wind as helices around the ventricles and are arranged in minimal surfaces to optimise organ function! As the year comes to a close we are about to step on the next arm of the Spiral of Evolution. Having that clear in mind i practice a from of Upanishadic meditation to connect with the Element Space and honour this important transition. Akasha is the Space that has no beginning and no end. Everything is contained within Akasha and emerges from it. – Create external Space by decluttering, being tidy and essential, letting go of unnecessary stuff, relationships and situations that are dispersing your energy. – Create internal Space, by letting go of unnecessary and unhealthy habits, thoughts and emotions. As you sit in meditation, or go about your day in a meditative state, offer the “stuff that clutters you” to infinite space, by breathing IN ( better if you can picture it in your mind and feel it in your heart ) a thought, a feeling a situation in the space of your heart and breathing it OUT from the back of your heart into the infinite space of Akasha. Then allow yourself to experience that Spaciousness at the level of Awareness where you can perceive expansion. In that Spaciousness you have created there is infinite potentiality, therefore i cannot imagine of a better way to begin my personal journey of a new year than entering in the field of spacious creativity! Previous postWater, Vibration and Consciousness! The effects of Mantra and Visualisation in your Sadhana. Next postEkadasi: Auspicious time for fasting and other Vedic and Ayurvedic practices for Spring Time.